May the Fourth be with You!! Come on down for this year's Drinko de Mayo block party. 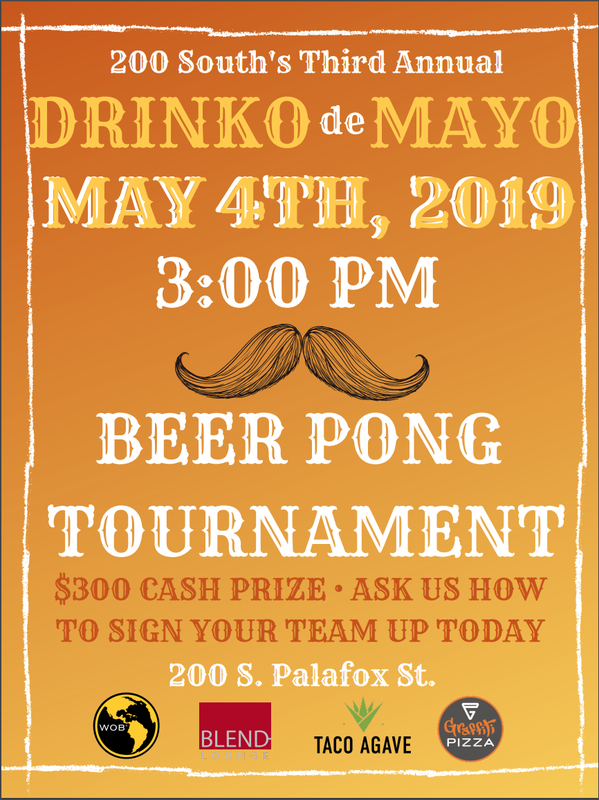 This year we have an even bigger event for you than ever before. 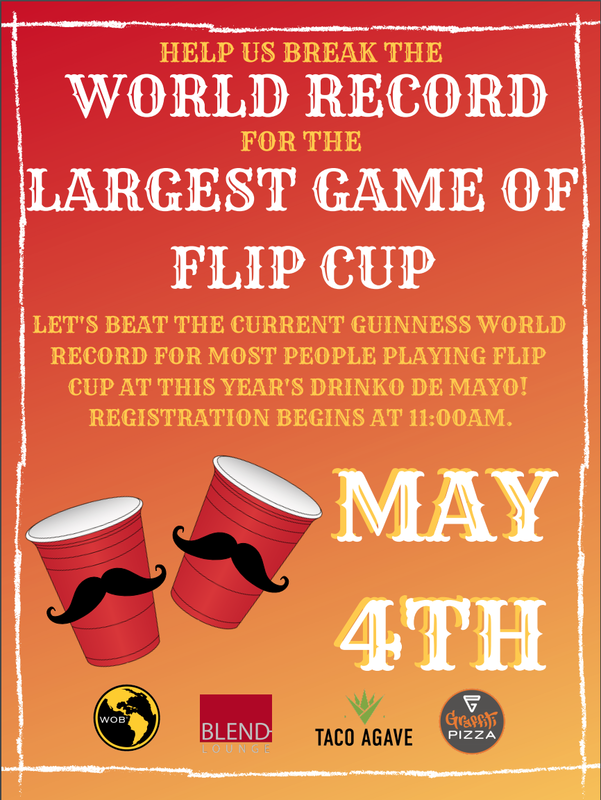 The party starts at 11am with registration to help us break the GUINNESS WORLD RECORD for largest game of flip cup!! 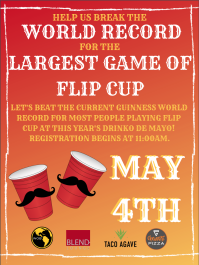 Participants will receive a free tshirt, commemorative cup, and infinite bragging rights for helping us BREAK THE RECORD. 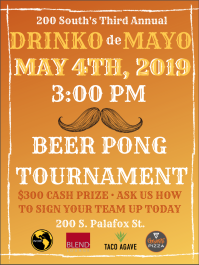 We will have a beer pong tournament for the chance to win $300 at 3:00pm and a piñata and taco eating contest throughout the day as well. 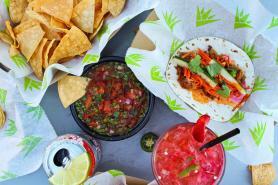 We have Fortag coming back to perfor for you guys that evening and then a full production DJ set to end the night! 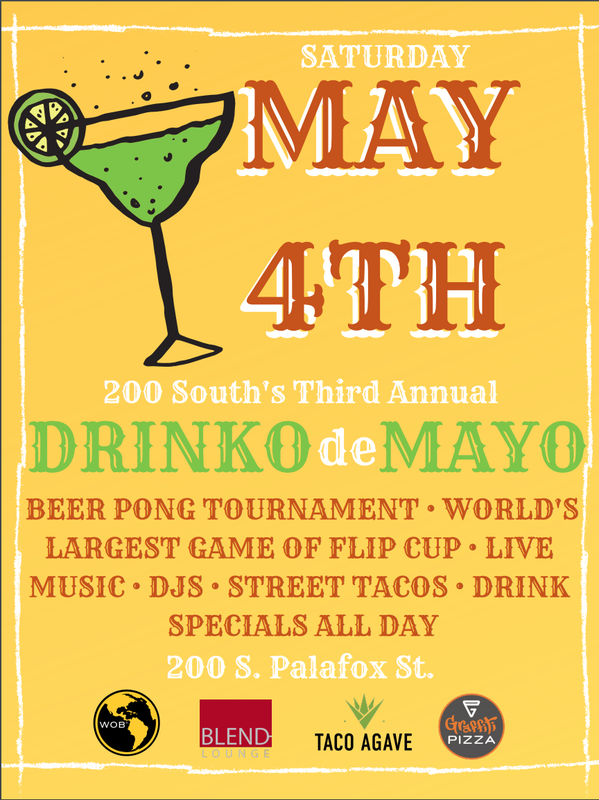 You know there will be drink specials and street taco specials all day long! !